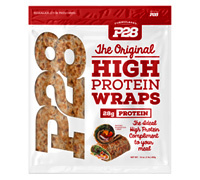 P28 High Protein Wraps are 100% Natural. P28 makes it easy to get a perfect balance of protein and carbs in every meal. 28 grams of protein in each wrap. P28 is made with 100% Whole Wheat, the highest quality source of protein - Whey Protein Isolate, Oats, Flaxseed, Sunflower Seed and Millet. P28 contains important Omega 3's, and is a rich source of 8 essential Amino Acids. P28 Wraps contains 7 grams of whole grains per serving. 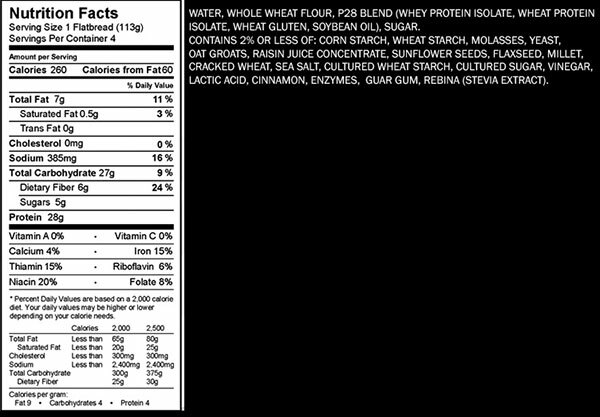 This product also is cholesterol free and a good source of fiber. P28 makes a great pre-post workout snack when nutrition is the most important.